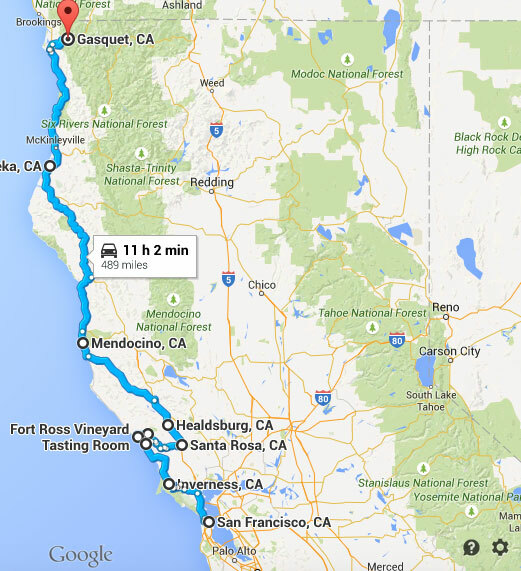 My wife and I recently decided to spend 10 days driving from San Francisco, California to Seattle, Washington. We had a few main goals for the trip besides spending some “we time” away from our two small children and dogs – who we love greatly for the record. Those goals included exploring as many places as we could and staying in some of the most unique places along the way. We had an unbelievable time, and our decision to drive 1,200+ miles through the many different terrains that the region has to offer is an experience that we will never forget. 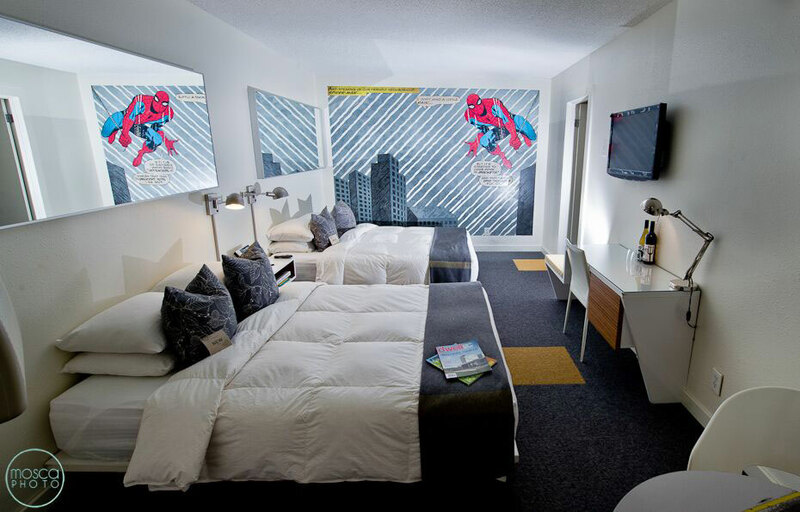 I’ve become a bit of a hater of the standard hotel chain. Yes, hotel chains offer comfort, familiarity, and reward points when traveling, but they can also be stale and keep you from truly experiencing wherever you are in the world. I’ve also become a huge fan of Airbnb as the platform has revolutionized the overnight experience, allowing for incredible travel experiences that you can’t get elsewhere. For me, being a local in the cities that I visit adds to why I love traveling. 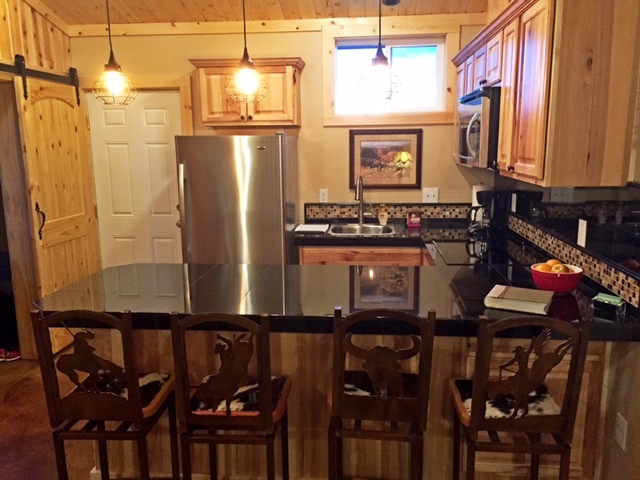 The following properties allowed us to do just that, and I would highly encourage each one of them if you are in planning a trip in the area. Note: Six of the eight properties that we stayed at along the way were found through Airbnb, but there are many other ways to find unique accommodations. Pricing and further details/pictures for each accommodation can be found by clicking the name of the property next to each city. 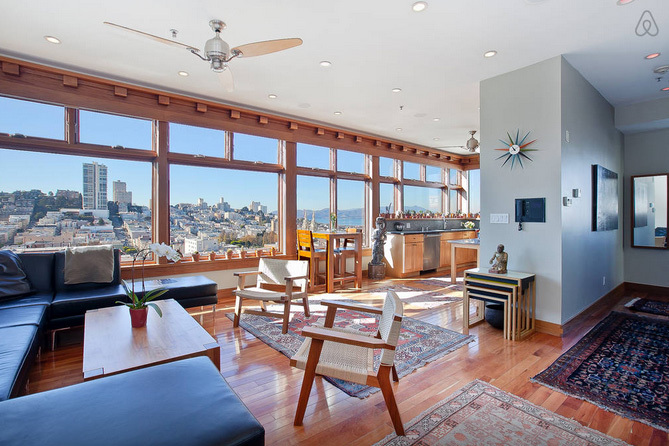 I connected with Tommy through Airbnb when I came across his breathtaking penthouse in Telegraph Hill. San Francisco is one of my favorite cities in the world, and the Telegraph Hill neighborhood is one of my favorites in town. 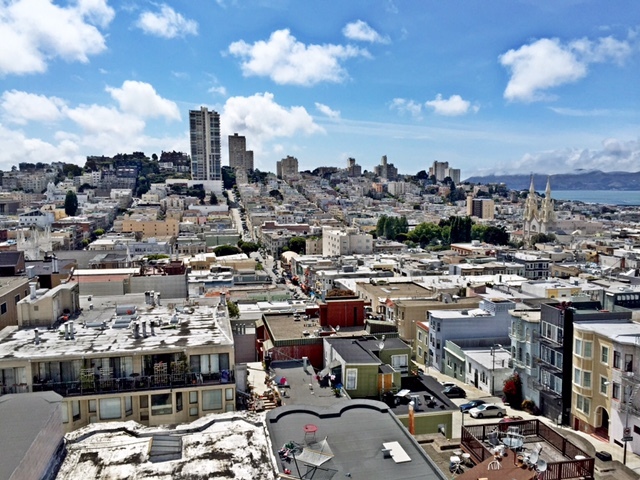 You get to experience the hills (and views) of San Francisco and one of the best viewing spots in the city (Coit Tower) is just a few blocks away. I’ve told many people already that our experience in Tommy’s penthouse was one of the best overnight experiences that I have ever had in a city. Simply put, the views from his place are out of this world. 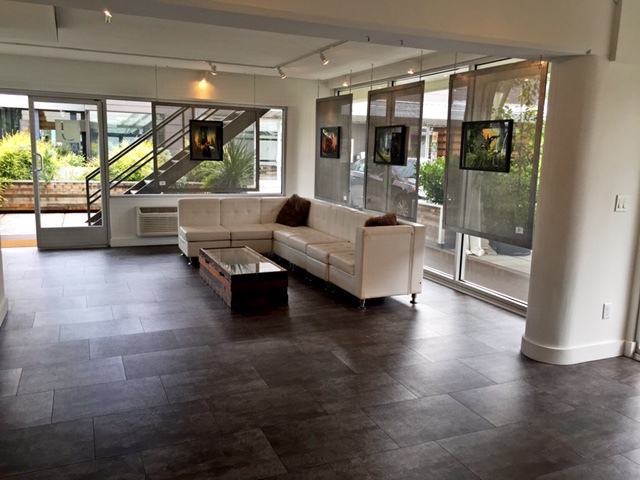 The penthouse itself is immaculate, clean and filled with pieces from local artists. It was really tough to leave the property to explore the city that I adore! The best part about the penthouse? 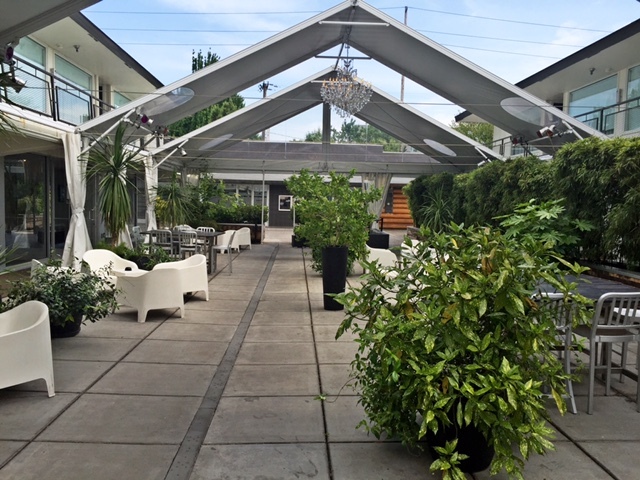 The deck and its views. The pictures do all of the writing for me. 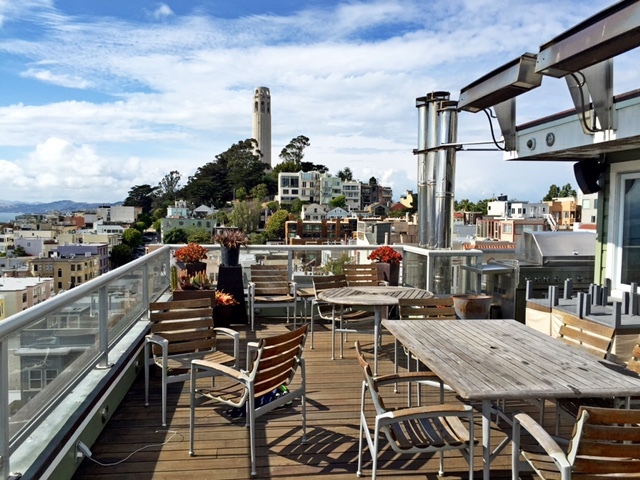 We had an amazing day in San Francisco to enjoy the deck. Tommy has four other properties that he rents in Telegraph Hill. 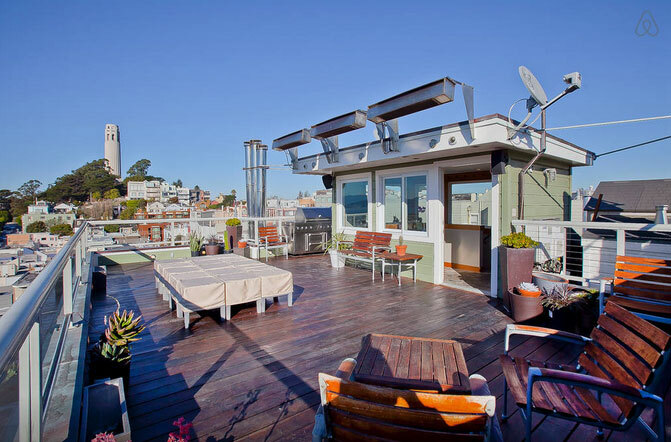 His collection of properties offers an option for any budget that you may have for your time in San Francisco. Click on the image below to see his listings. 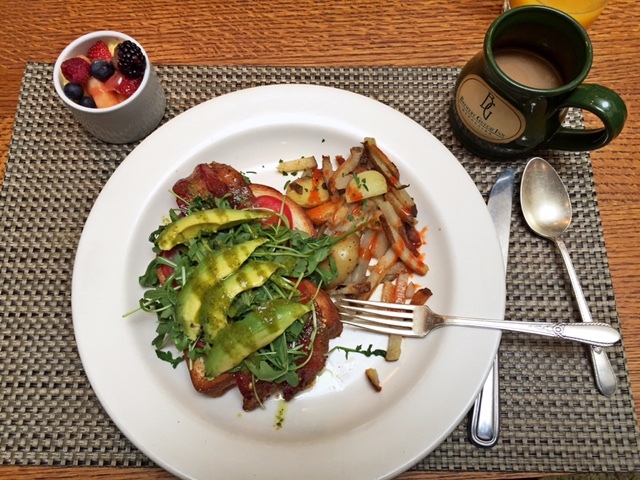 Cazadero, California – Baker’s Loft With Breakfast! 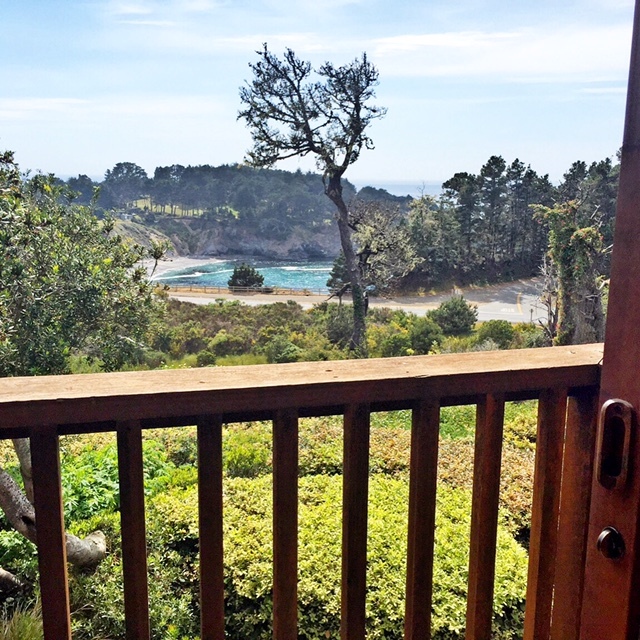 Most people think of Napa, Sonoma or Healdsburg when they begin looking for places to stay north of San Francisco, but we decided to take a different route. 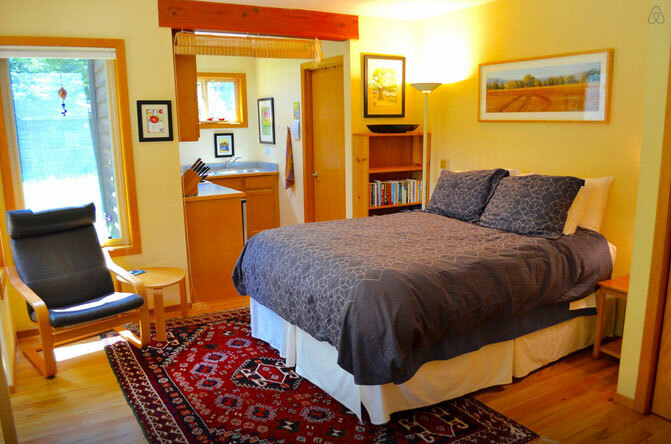 We traveled the coastline north on HWY 1 which was an incredible experience, stopped at a winery along the way and eventually made our way to sleepy Cazadero, California and the Baker’s Loft studio where we would be resting our heads that evening. 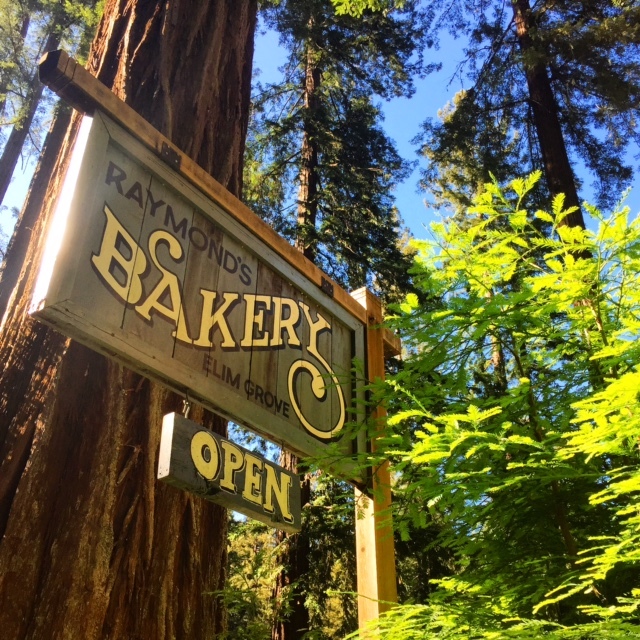 Tucked amongst the redwoods of Cazadero, the Baker’s Loft studio is located in the oasis of Elim Grove, above the award-winning Raymond’s Bakery. 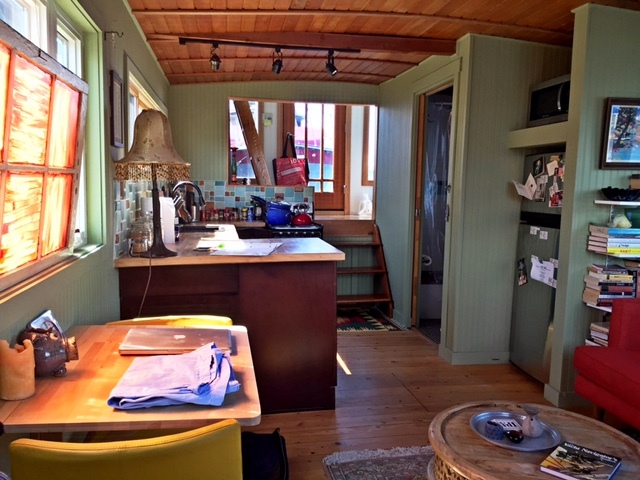 I was able to find the loft on Airbnb and connected with Mark. 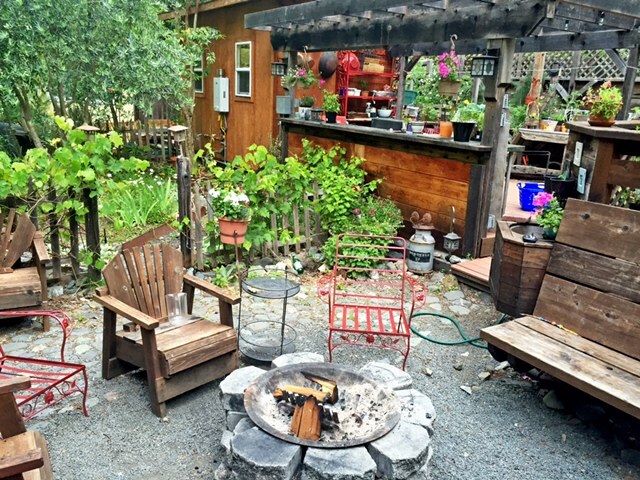 Twelve years ago, Mark and his wife fell in love with an abandoned restaurant with four tired cottages on three acres of wild blackberries and old growth redwoods on Austin Creek. Today, besides running the bakery, Mark and his family host travelers at their five properties on site. Mark is truly a man who is living out his passions. He’s a generous and kindhearted man who loves baking and hosting people at his property. He told me a story about his late father who encouraged him to pursue his passions, and it was very evident that Mark is doing just that. 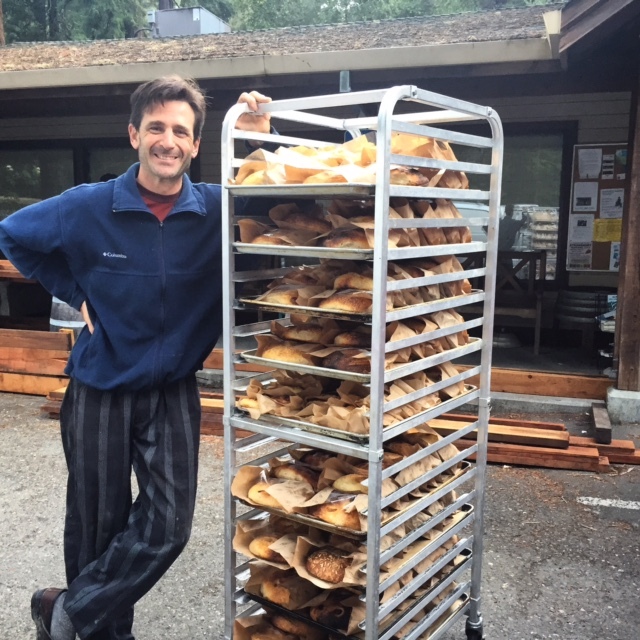 We were able to get in on the action early the next morning when we helped Mark load his van with fresh-out-of-the-oven baked goods that he was taking to sell at the local farmers market. We were rewarded with a fresh loaf of bread! So good. The loft itself is very charming and offers delightful smells of fresh baked goods and pizza being made throughout the day. We arrived on a Friday evening which is always the busiest day at the bakery. It seemed as though everyone in the community was at the bakery for good food, drink, music and company. We settled down with a few drinks and listened to a local Americana band delight us with with their tunes. 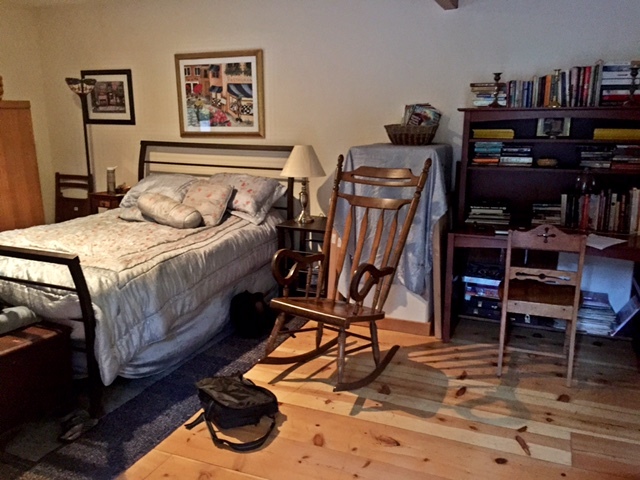 The picture below is of the space the next morning. A look at an area of Mark’s property that serves to gather travelers staying on site. 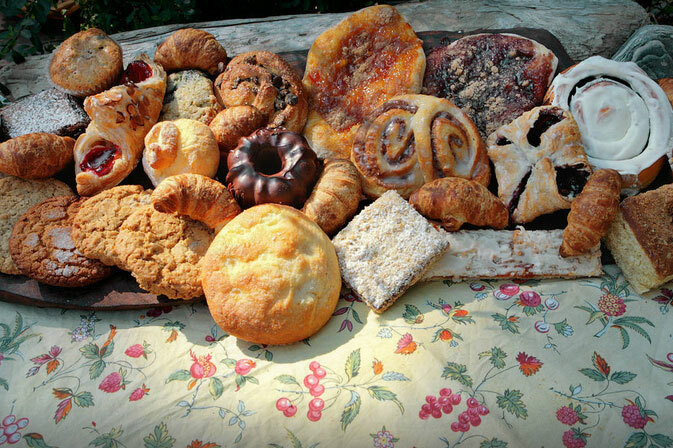 There’s nothing quite like waking up to the smell of fresh baked goods. Mark’s baking skills made for a great breakfast. 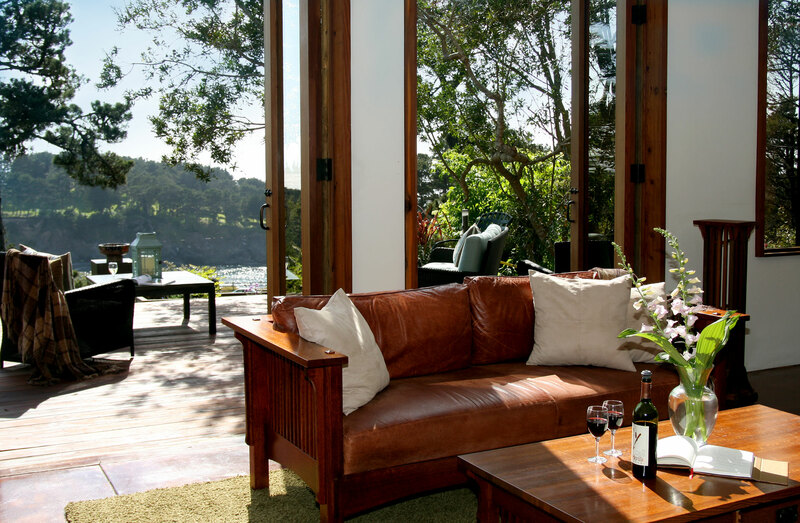 Nestled between a canvas of redwoods and ocean vistas in Mendocino, California sits the Brewery Gulch Inn, a property that recently placed third in the continental U.S. Inn and Small Lodge category, and 20th among all hotels worldwide in Travel + Leisure magazine’s World’s Best Awards. 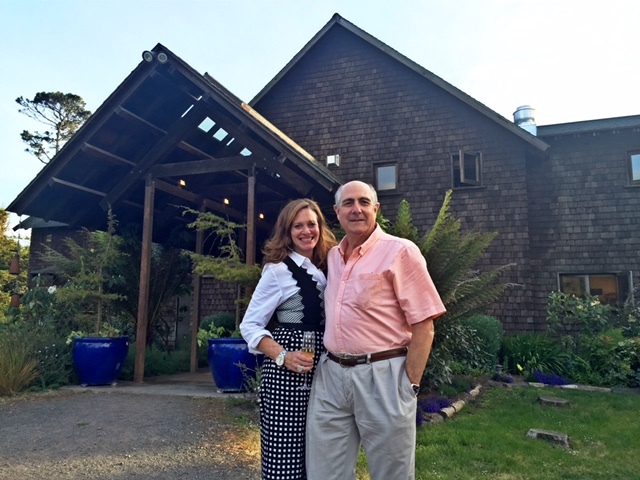 Inside the Inn, lucky travelers can find Guy Pacurar, who became the second owner of the iconic Mendocino property in 2007. Our stay at the Brewery Gulch Inn was very special for me, as Guy is also a member of Phi Delta Theta. His chapter at the University of Southern California is one that I had the pleasure of helping to rebuild a few years back. Guy successfully managed a small company in San Diego for twenty years before his daughter, Taylor, inspired him to fulfill a lifelong dream and purchase an inn. 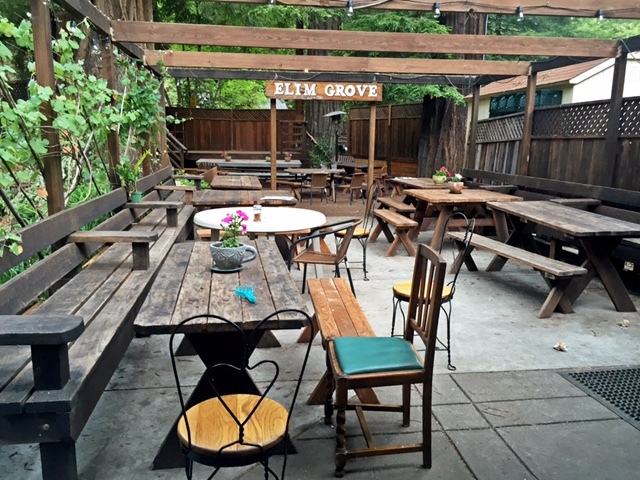 The ensuing twelve-month search took him to twenty-nine inns in five states before he visited California’s North Coast and found the Brewery Gulch Inn. Guy mentioned that purchasing the Inn is one of the best decisions he has made in his life, and it was fun to see him in action during a busy few days at the Inn. Our room at the Inn was great. There is nothing better than a room with a great view, and we had one! Downstairs at the Inn was extremely comfortable with a welcoming lobby, great places to sit and read and a scenic deck with great views. We were lucky to be visiting the Inn during a very exciting time for Guy and his wife Sarah. The area around Mendocino (Anderson Valley) is well-known for its great pinot noirs, and a large festival was taking place that weekend. The evening that we stayed at the Inn, Guy was hosting a winemaker’s dinner, a dinner to celebrate and highlight those who work in the industry in the area. We were able to be Guy and Sarah’s guests! As a guy who knows more about beer than wine, it was humbling to be sitting amongst some of the region’s most talented wine makers and fruit growers. Besides the amazing food and drink, we walked away educated. It was really fun to see the joy on Guy’s face as he saw the successful event occurring in his place. 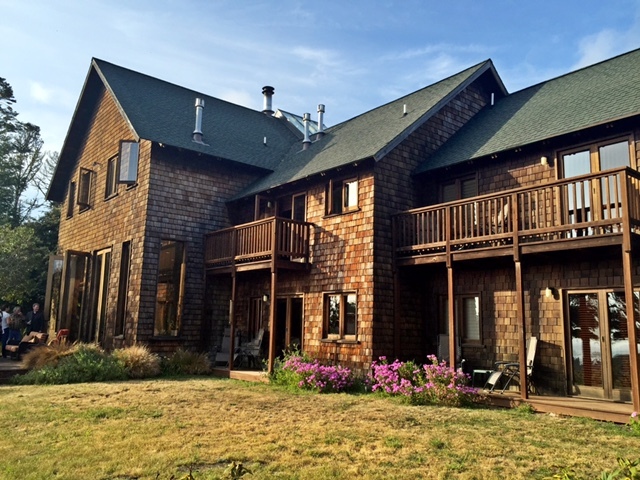 Just a few weeks before our trip, I hadn’t found a property that truly caught my attention near Eurkea, California, where we planned to stay next. 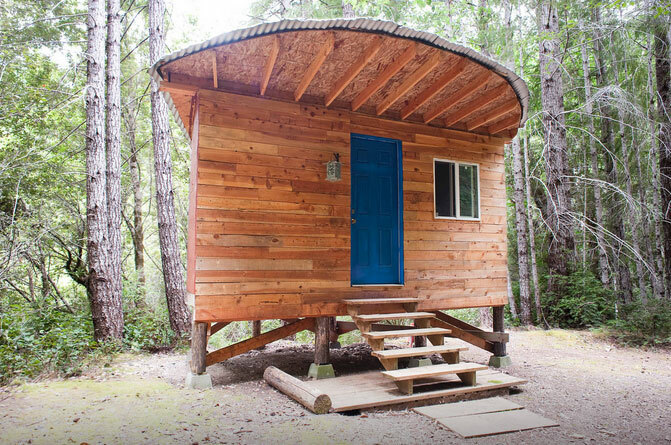 Luckily, Annette and Paul placed their McKinleyville, California studio apartment in the woods on Airbnb leading up to our trip. I found it and immediately booked. It did not dissapoint. Paul is a semi-retired professor of geography at Humboldt State University with a special interest in the Mediterranean. Annette is an artist, writer and haiku poet with her own art business. She is semi-retired from a career in international development. 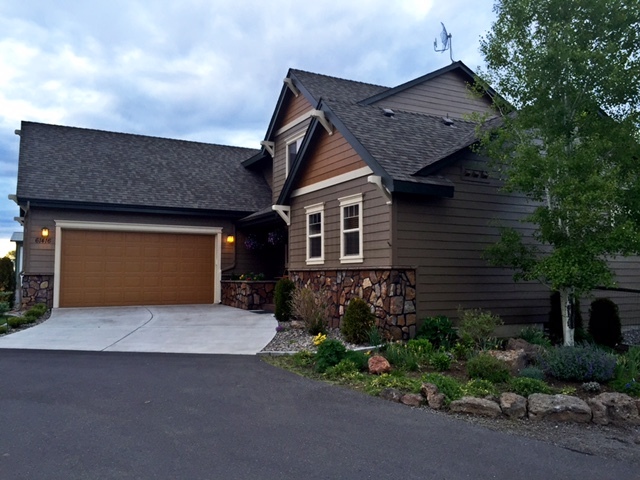 They have lived in the area for almost 30 years and love the beautiful, friendly community. I’m envious of their international travel and living experiences. Combined, they have lived in Switzerland, Japan, Austria, Italy, Egypt, Brazil and England. They have two teenage children and an awesome poodle-bichon mix named Misha. As dog lovers, we loved being greeted by a four-legged friend. 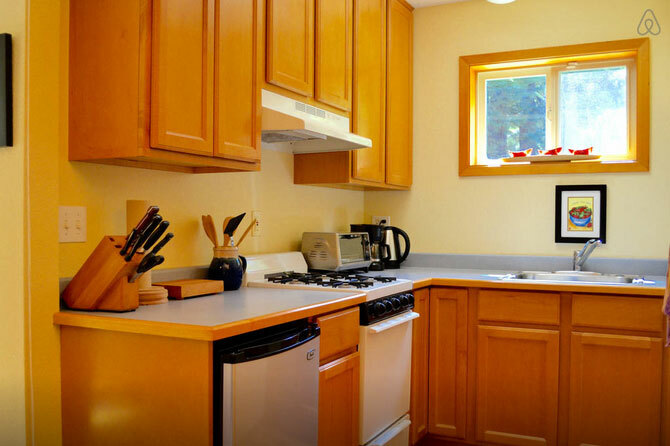 Their comfortable and tasteful studio apartment has its own kitchen and full bathroom. 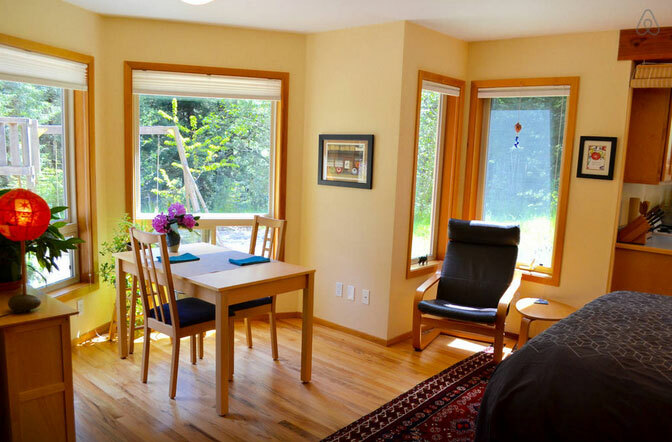 It features views of redwoods and distant hills, a sunny eating alcove with large southeast-facing windows, hardwood floors, a wood stove, and a tiled bathroom. Built onto their custom home, the studio apartment is reached through a shared entry room. It was perfect for two weary travelers! 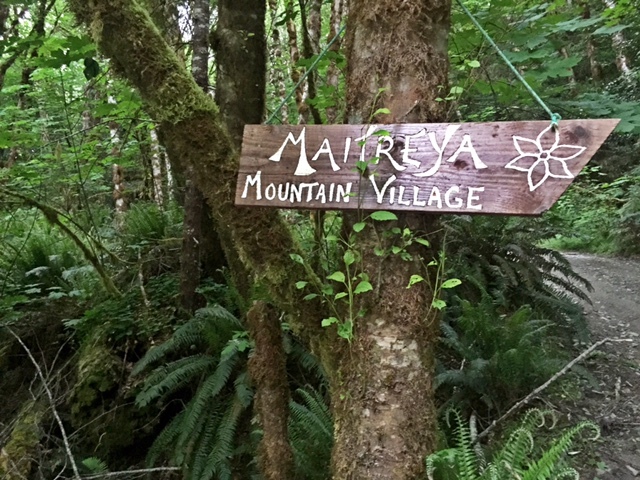 I’ve never had an overnight experience like the one we had at the Maitreya Mountain Village near Gasquet, California. It was truly off-grid and was an experience just to get to the place. Ironically enough, Dan, who owns the property ran track at Miami University in Oxford, OH, where I worked on-site for 8 years. 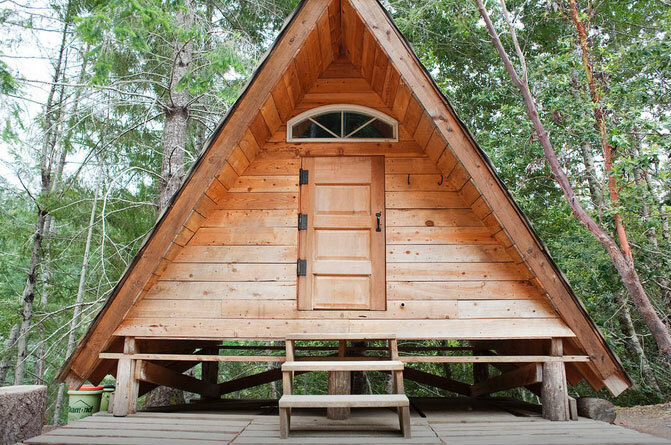 The description of the Witch’s Hut on Airbnb captures everything you need to know about the experience! 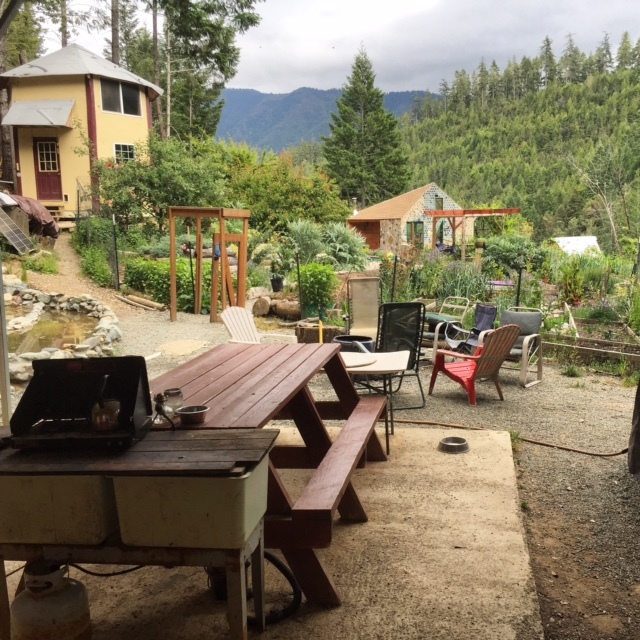 If you are looking for a unique experience in a beautiful natural area and would like to experience life in an off-grid, sustainable, permaculture-focused ecovillage – and all the rough roads, dirt, mud, insects, messes, barking dogs, mosquitos, bees, mice, early morning roosters, communal living, composting toilets, stained linens, ongoing construction projects, and various unpredictable joys and challenges of Doing It Yourself in the remote wilderness – then we invite you join us in our mountain village! 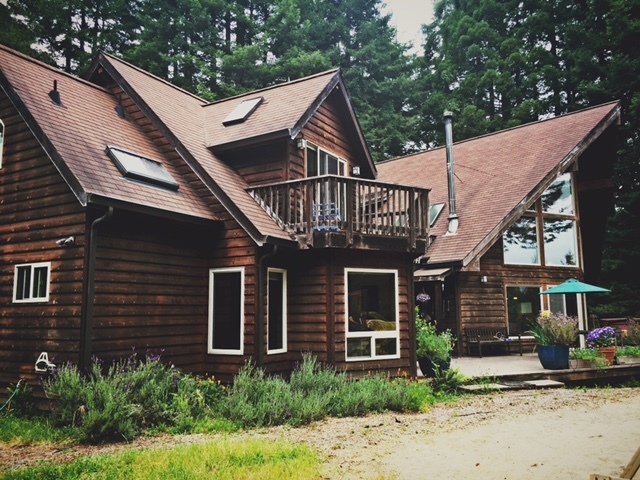 The Witch’s Hut (the yellow building in the image below) is the largest of three available cabins on our forested property in the heart of Six Rivers National Forest. 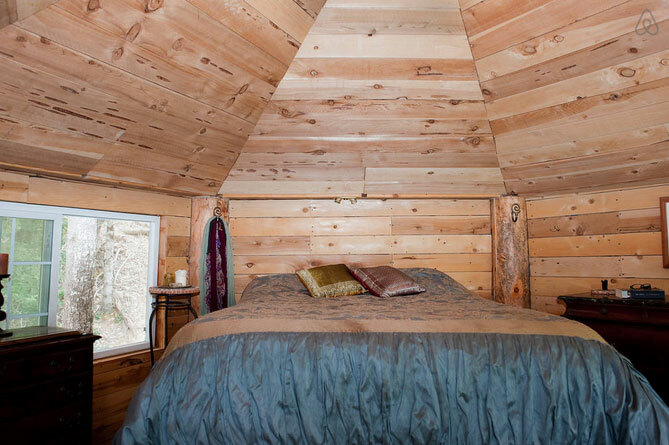 The two-story, hexagonal cabin has a downstairs room with sofa, easy chair, woodstove, and sink, and upstairs the “master bedroom” with comfy queen bed overlooks the gardens, pond, and lower village. Our property encompasses 160 acres of pristine natural wilderness in Northern California’s beautiful Smith River area – home of the only un-dammed river in the state. Lush fern-encrusted hillsides slope down to countless spring-fed streams, teeming with wildlife, from cute caterpillars to (also cute, sometimes!) black bears. Accessible only by forestry road from scenic CA-199, this is your chance to experience Mama Earth as she was meant to be. 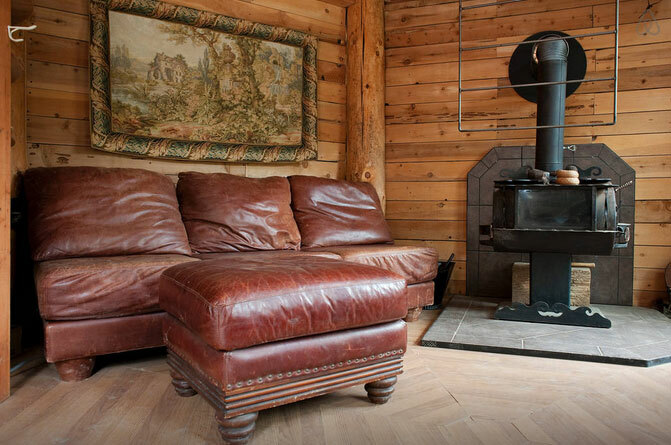 Your cabin is in the lower village area, featuring an outdoor kitchen, wood-fired sauna (usable November thru May), large organic garden and edible landscaping, chicken and goat pens, and two additional cabins. Other animal residents include dogs, cats, chickens, fish and frogs. A few pictures from inside the Witch’s Hut. As mentioned, we are dog lovers. 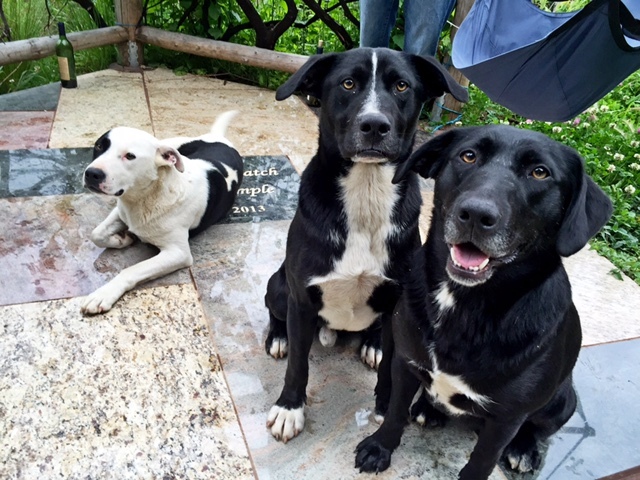 One of the added benefits to staying at the hut was the company of three amazing, friendly and off-grid mountain dogs. They live an amazing life. During the day, they wander the mountainous area around the property, exploring the country side and letting the wildlife know that the property is theirs. We were greeted at the property by on-site resident Rob and shared a bottle (or two) of wine with him. Tillie and I probably asked him 50 questions, and it was amazing to hear about the property and the lifestyle that comes with it. Ironically enough, Rob is a member of Phi Kappa Psi, my father’s fraternity. Small world. As we were chatting, here come the three dogs from the mountains, tired from their day-long adventure. Besides the witch’s hut, the property has a few other unique accommodations. 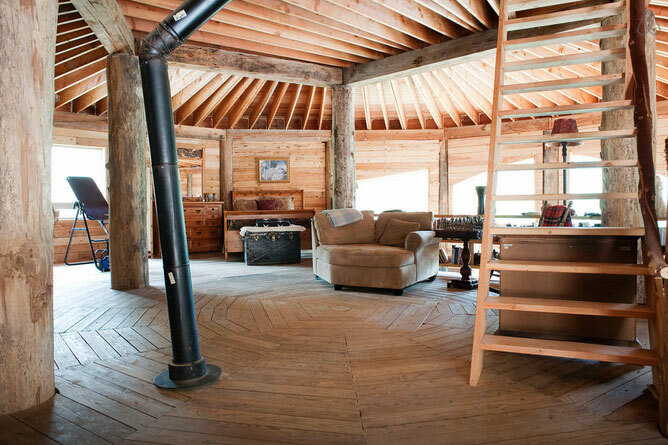 An A Frame cabin…. And an amazingly designed Wilderness Lodge. 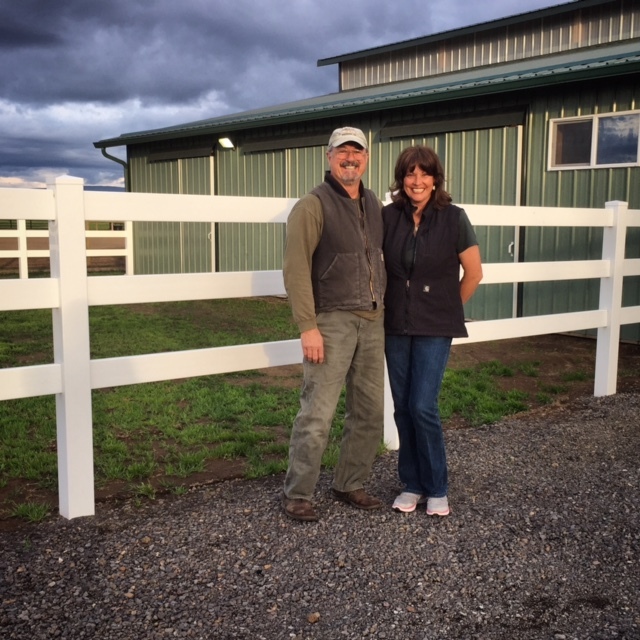 David and Christy are the owners of a 40 acre ranch 10 miles east of Bend, Oregon. 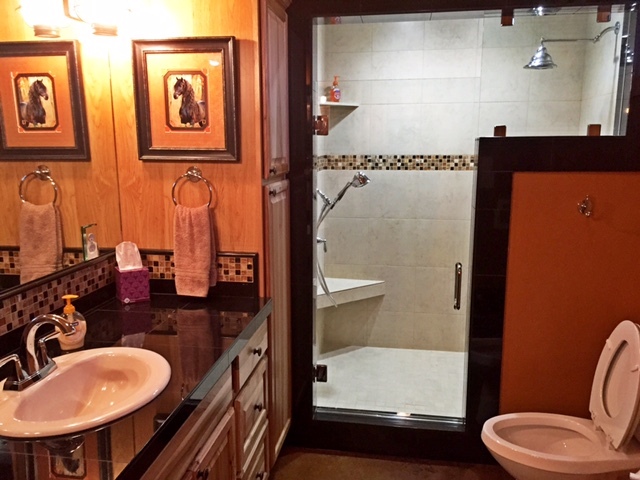 They offer a Bed & Bath for people and horses traveling through our area. Seriously, you can bring your horse! David has been a Title Examiner in Bend for the past 37 years and Christy is a real estate agent, licensed for over 26 years. Talk about wonderful people! We were greeted by the couple upon arriving, and they were very interested in our trip as were we in the story of their property. After chatting for awhile and getting the tour of their house and barn, we were ready to settle in. 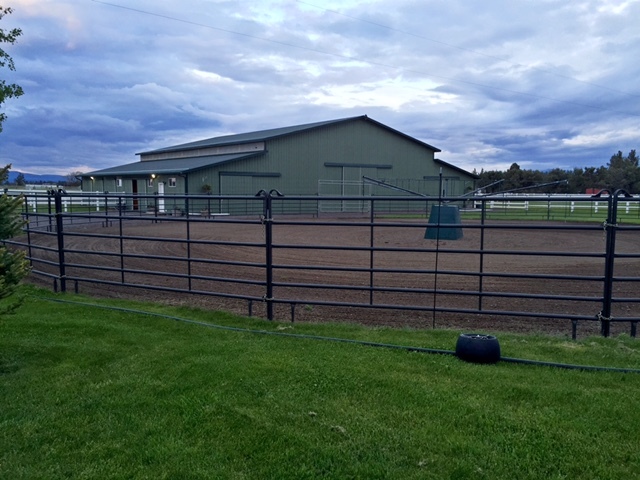 The luxury of our stay in a horse barn in Bend, Oregon was one of the best surprises of our trip. Their amazing house. They rent out the upstairs level. 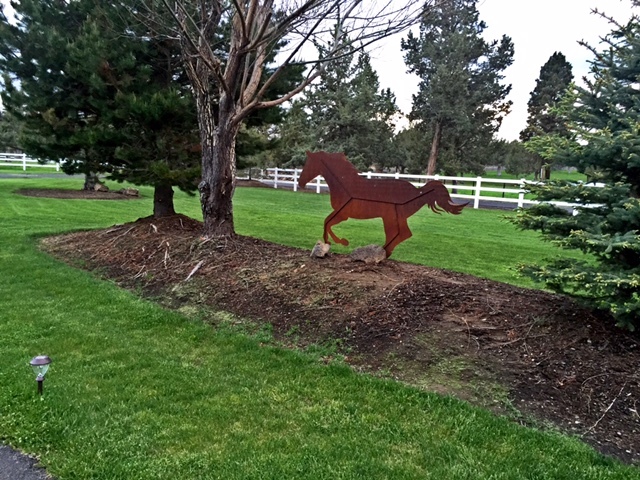 When communicating with Christy via Airbnb, I learned that they had just opened their horse barn accommodations and that we would two of the first few guests! This is where we stayed! 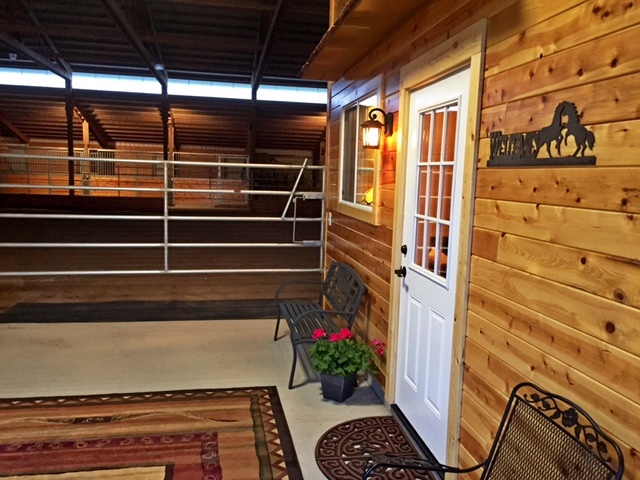 When you hear “horse barn,” luxury isn’t the first thing that comes to mind. Christy’s real estate experience and David’s building skills were in full display and proved us wrong. The place was pristine, full of fun western/horse decor and included snacks and drink to get us through the evening and morning. Their horse barn is going to be an instant Airbnb hit! Portland is the hippest of hip cities in the United States. Knowing this, we wanted to stay at a place that captured the essence of Portland. 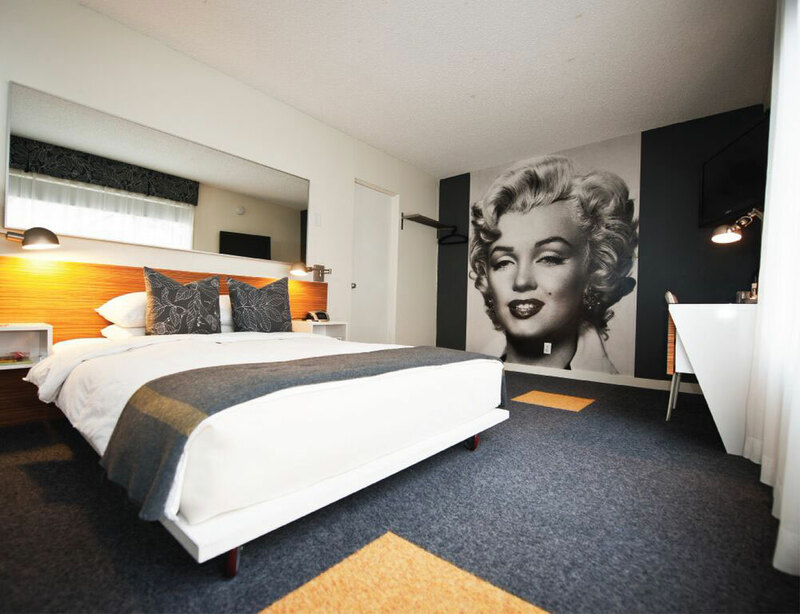 We found this experience at the ultra-hip and ever-social Jupiter Hotel, a mid-century, renovated motor inn-turned-boutique hotel in the heart of Portland, just across the river from Downtown Portland. 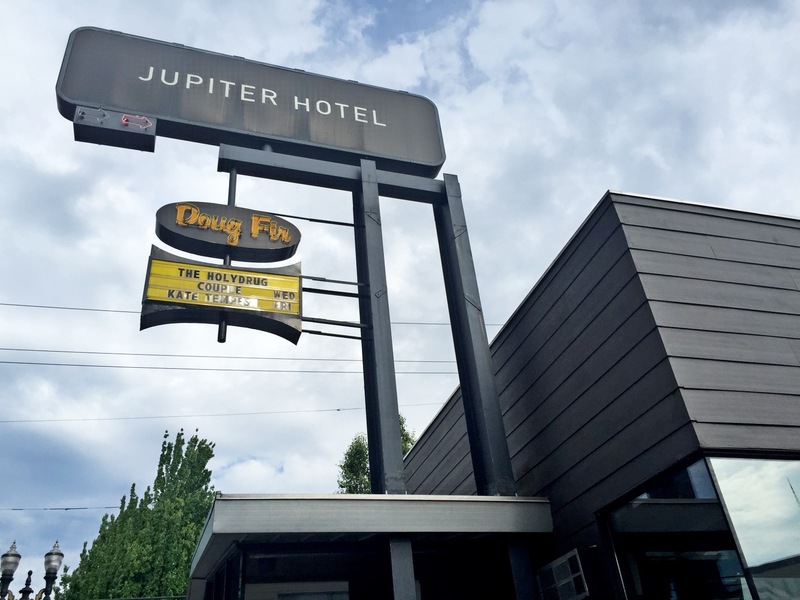 Connected to the hotel is The Doug Fir Lounge that features Northwest-inspired cuisine, local brews and booze, happy hour specials, late night dining and the hottest live music venue in the Pacific Northwest. 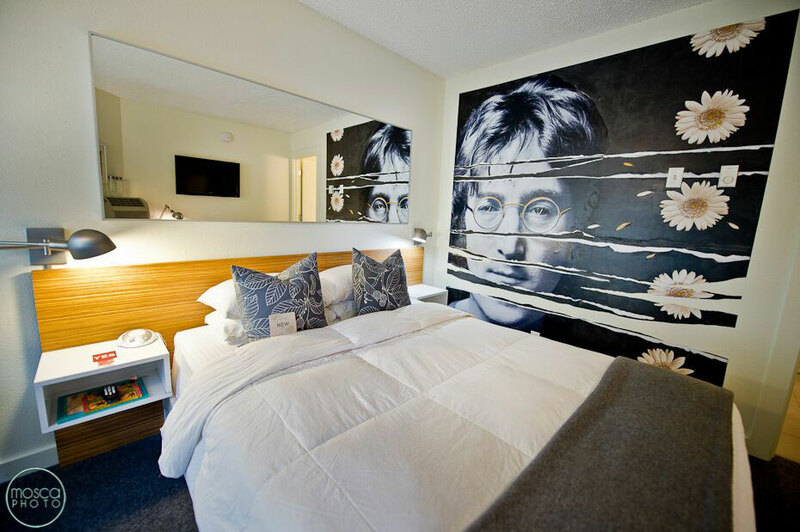 And the John Lennon room. The hotel lobby is ultra-chic and features great art from local artists. Where we were able to enjoy our complimentary Rogue beers, a Portland classic. You’ve basically won my heart if you welcome me to your awesome property with great beer. I’m easy to please! 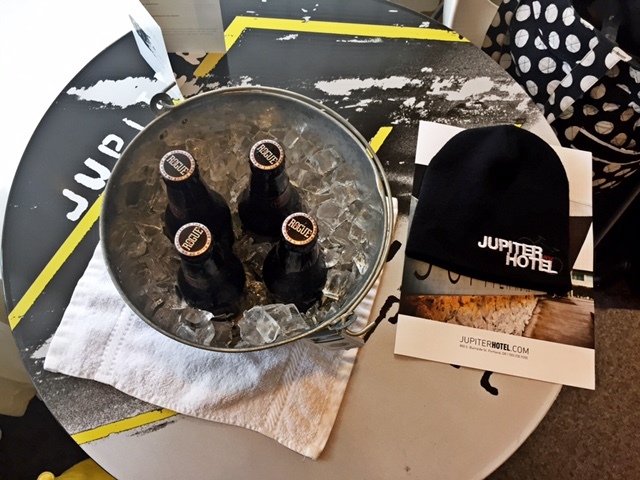 Our stay at the Jupiter Hotel was the perfect way to celebrate being in Portland, Oregon! Seattle was the last stop on our adventure, and we wanted to finish in style. Seattle is an amazing city, and one of my favorite Seattle neighborhoods is Fremont, the self-proclaimed “Center of the Universe.” Fremont is uber-quirky and is live with activity, business and great food and drink. Adobe and Google (amongst many others) have campuses in Fremont. 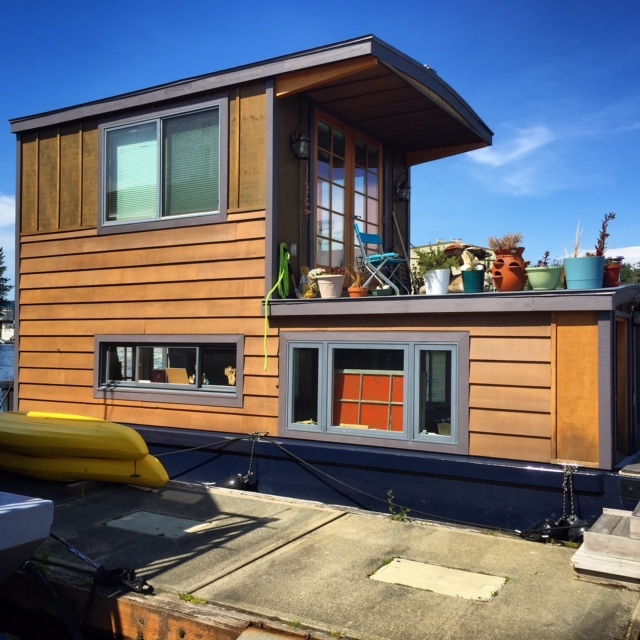 When searching Airbnb, I came across Michael’s houseboat just across the lake from Fremont. A perfect place with a perfect location! Michael was out and about traveling the world (Bali to be exact), so we were able to rent his place. 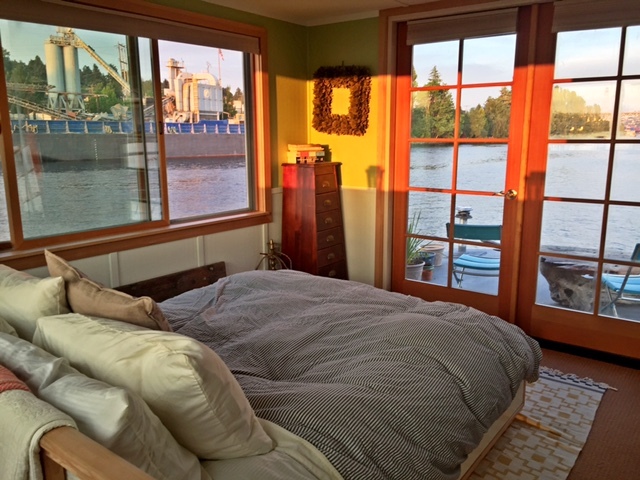 It was our first time staying on a houseboat, and the experience was amazing. The houseboat itself is beautifully designed and sits amongst a number of houseboats within a marina. Below is a look at the water level floor that included a nice living room, place for dining, kitchen and bathroom with a shower. Upstairs was the bedroom with a killer view. Waking up to early-morning rowing crews and flocks of birds landing on the water was awesome. 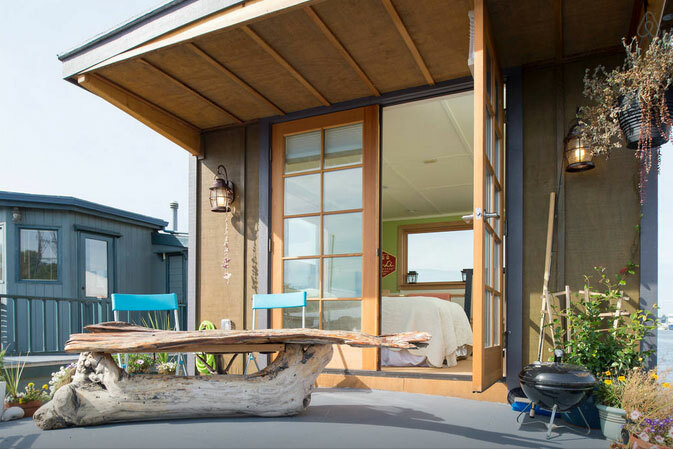 Just outside the bedroom is a nice deck where relaxation is guaranteed. 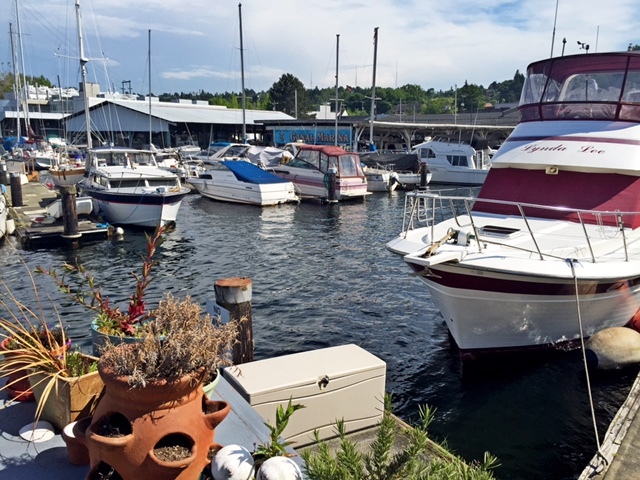 A view from the deck of the marina. 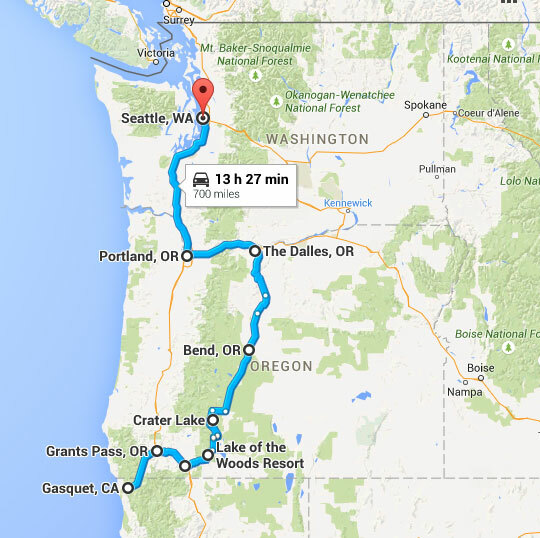 We will never forget our time traveling from San Francisco to Seattle, and we can’t wait to plan our next adventure. If the trip taught me one thing, it was that unique lodging experiences and getting out of comfort zones makes for an enhanced travel experience. It also makes for some great new friendships. On a side note, this November, I will be visiting Savannah (GA), Charleston (SC), Myrtle Beach (SC), Charlotte (NC), Clemson (SC), Asheville (NC) and Knoxville (TN) on my annual running trip where I raise money for The ALS Association and the Phi Delta Theta Foundation through Phi Delta Theta’s Iron Phi program. If you know of unique lodging in or around these cities that I should consider, please leave me a comment on this post.